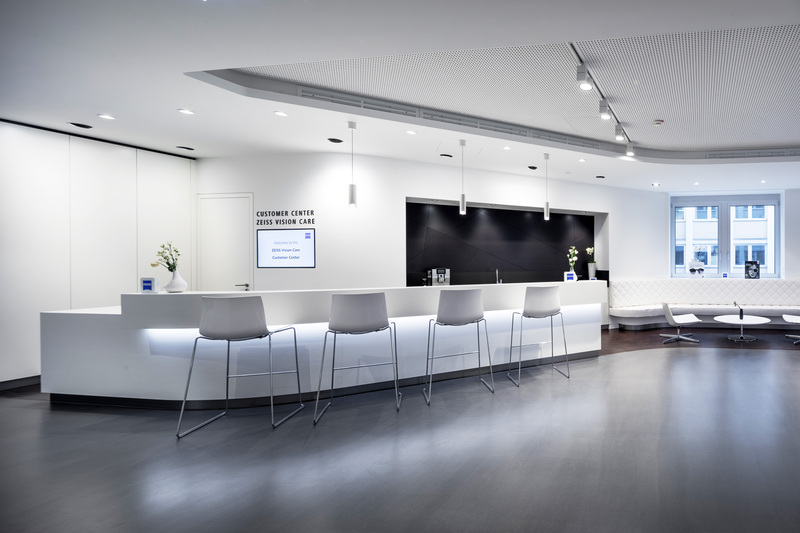 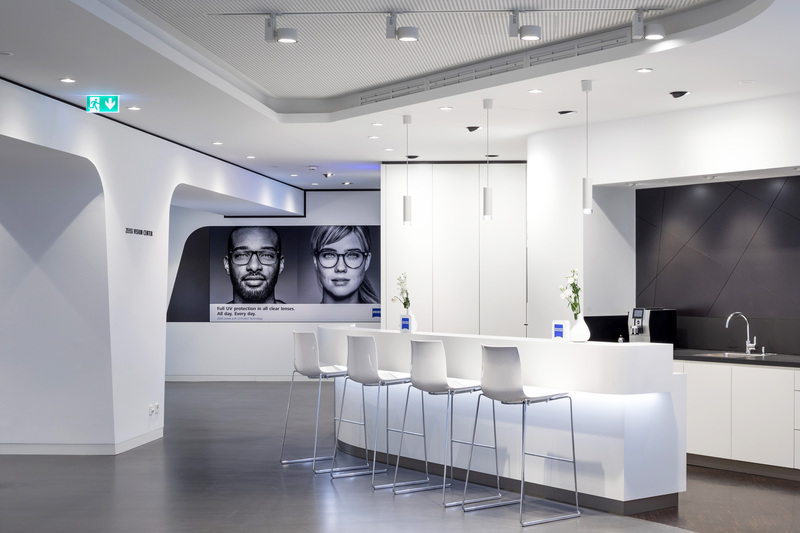 The new ZEISS CUSTOMER CARE CENTER is located directly in the Headquarter of the ZEISS Group in Oberkochen, Germany. 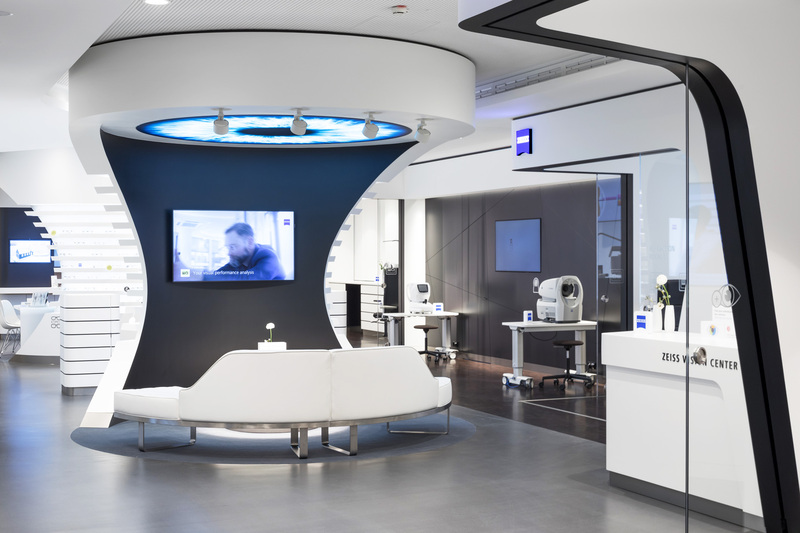 Nearby the ZEISS Museum and the ZEISS Forum the new showroom of the company segment Vision Care/Cunsomer Products is placed in the heart of the Brand. 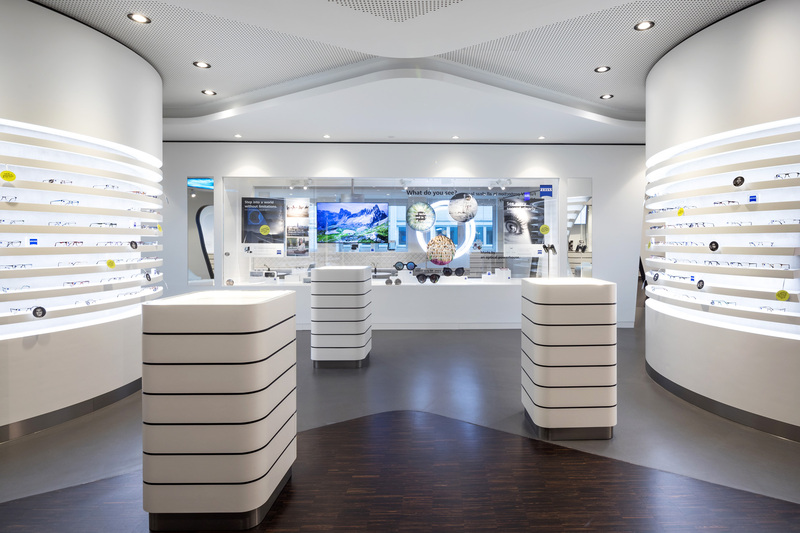 The Customer Care Center shows the complete range of products, services and supporting tools you need for tailored vision solutions. 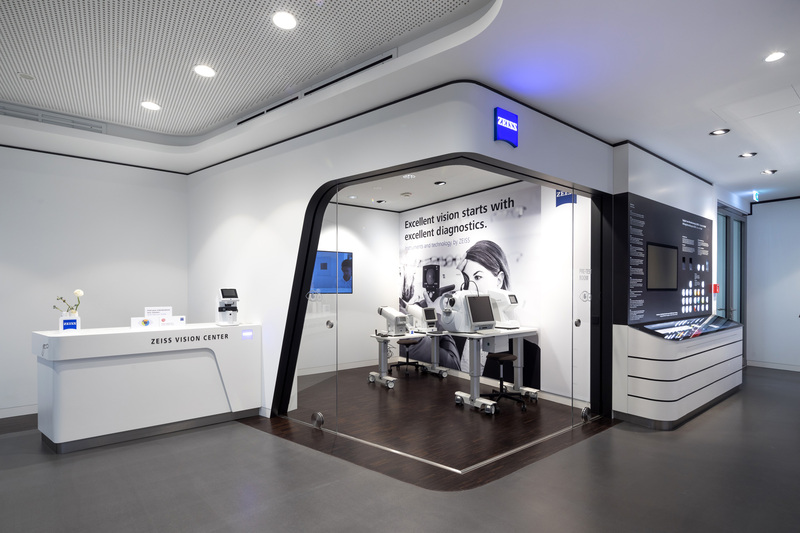 The Center exposes an optimum of a ZEISS VISION CENTER Store, where opticians experience the ZEISS Vision Analysis, a clearly defined, step-by-step process that guides patients to their tailor-made lens solution. 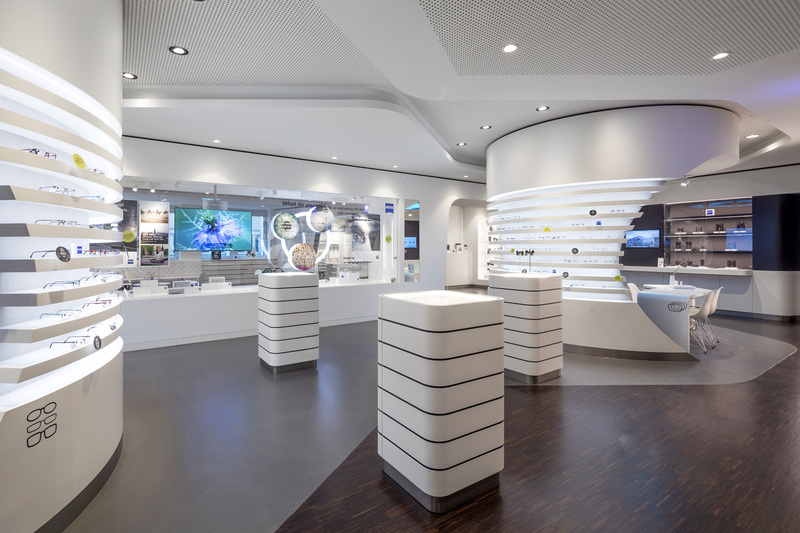 The overall architectural design of the Center transports the corporate identity till the tiny detail and is fully in-line with the spatial design rules of the brand. 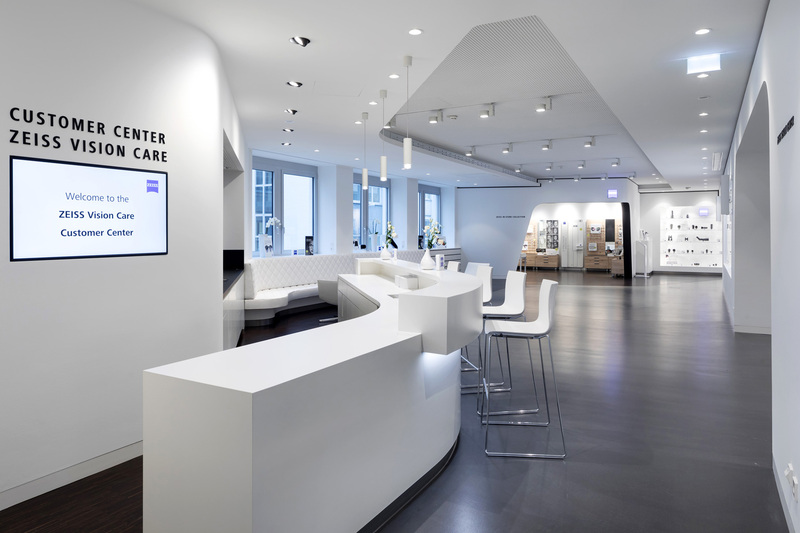 The Center creates a clear and functional working environment for eye care professionals, managers, employees and visitors for training, lectures and consultations. 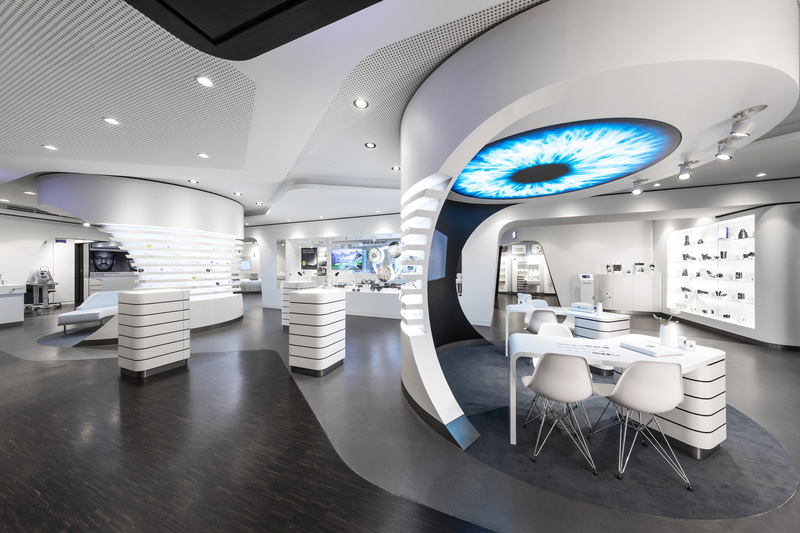 A long welcome-desk, a cafe-corner, a flexible seating area for 60 consumers, an area for shop-in-shop tools, two vitrines displays camera objectives,VR frames and binoculars, a full Store setup stages all products and vision care services, two measurement rooms, one pre-examine room and a highlighted manufacturing wall with a realtime video of the lense production. 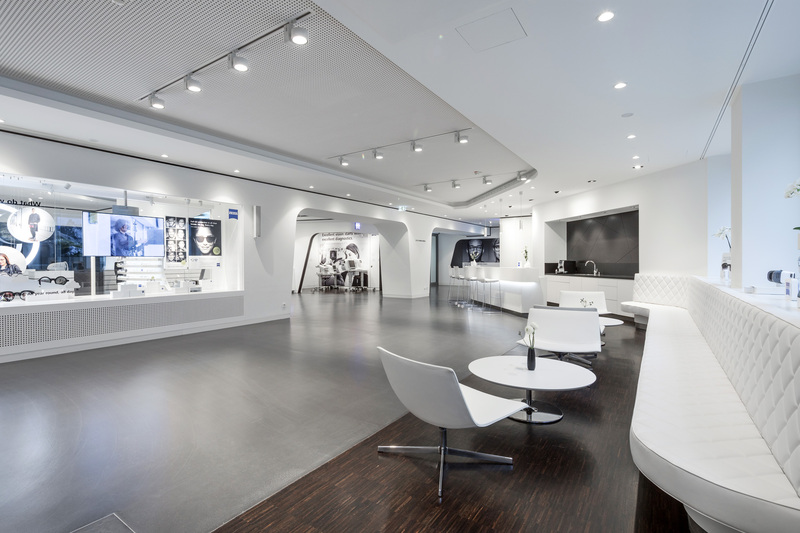 All this gets you closer to one of the world’s most recognised brands in the lenses and eyewear industry. 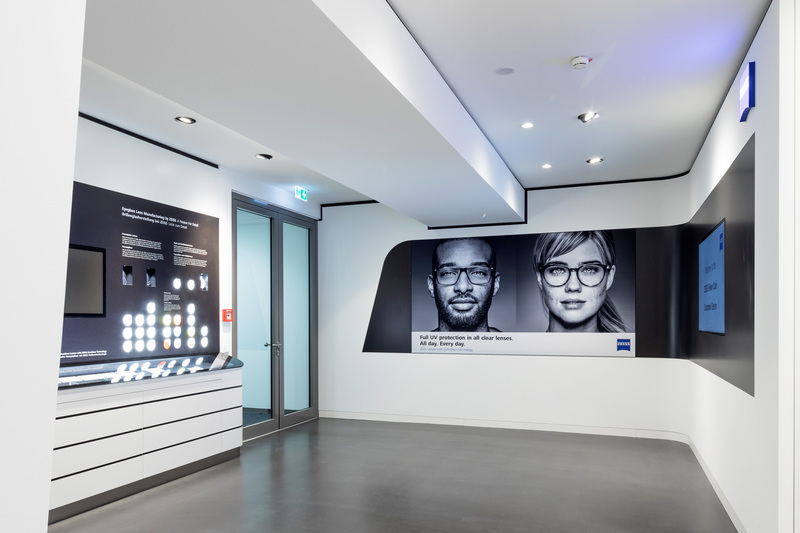 Simply unmistakably ZEISS.